As the focus turns to the summer transfer market and how Zinedine Zidane would like to adjust his squad, we bring you the key areas of focus for the Real Madrid coach. “You are my goalkeeper, Keylor,” were the words of Zidane to Keylor Navas as well as president Florentino Perez after the Champions League final. The Costa Rican hit top form in the run-in and departed for international duty happy with the backing of his boss and teammates, as well as the three-years left on his contract in the capital. Sticking around whether or not David De Gea arrives, it’s clear that Zidane would rather Los Blancos not splash 75 million euros on a goalkeeper when he’s happy with his current custodian. That said, there are plenty in the Madrid boardroom who have considered the Manchester United man’s arrival as a mere formality for some time. After the Champions League final, Alvaro Morata’s future remained somewhat unclear as the keen interest from the Premier League was not so readily dismissed as the supposed Italian bids were. 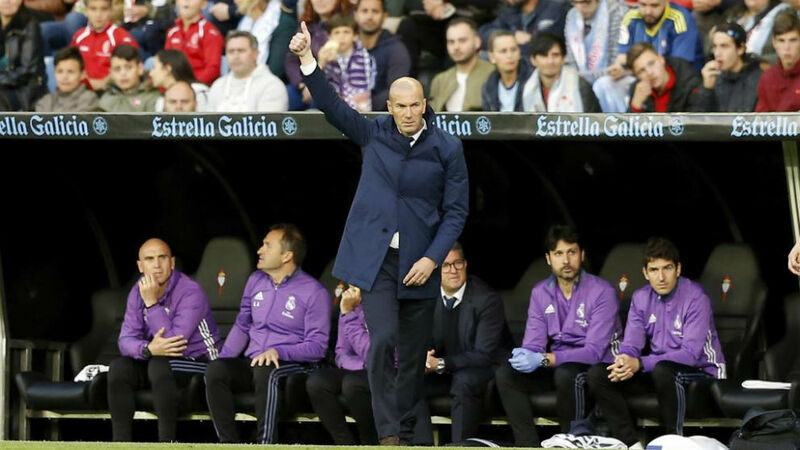 For Zidane, he’d like the Spaniard to stay put but recognises the possible agitation over game time. If Morata is to leave, another striker must be signed as the coach likes Mariano but not enough to make him first back-up to Karim Benzema. The young forward will likely leave on a permanent deal with repurchase clause, regardless of if Morata believes his impressive goal return last season made up for a lack of action. Two stars of Alaves’ squad in 2016/17 are to arrive at the Bernabeu to fight for first-team places, with Theo Hernandez’s capture from Atletico Madrid to be confirmed at a slightly higher price than the defender’s 24 million euro release clause. He’ll replace Fabio Coentrao as Marcelo’s back-up at left-back. Joining the youngster in the senior side is returning loanee Marcos Llorente, who Zidane wants to form part of his periphery from the start of pre-season, chiefly covering for Casemiro. Real will closely watch Jesus Vallejo’s progress at the Under-21 European Championship this summer after a positive loan stint with Eintracht Frankfurt. If the defender impresses in Poland and on the club’s subsequent pre-season tour of America, Zidane should install him as fourth-choice centre-back, replacing Pepe. Heading out of the Real exit door this summer is set to be James Rodriguez, who Zidane feels is some way off the likes of Isco and Marco Asensio in his pecking order. The coach knows how his 4-3-3 system is to the Colombian’s detriment and Rodriguez’s departure could even allow for the signing of another midfielder to rival Gareth Bale.